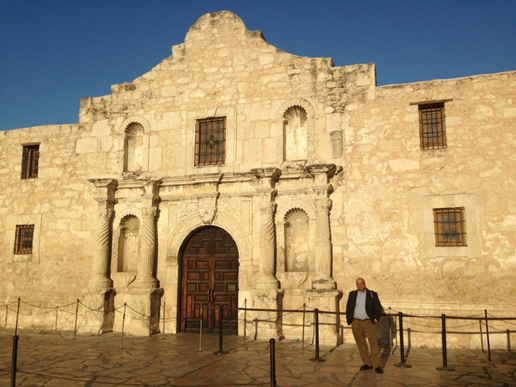 We recently attended the 105th AOCS Annual Meeting and Expo in beautiful San Antonio. Thanks to gloriously sunny weather, the San Antonio Spurs NBA basketball winning the playoff series against their instate rivals the Dallas Mavericks, The Alamo, and the Mexican-American holiday Cinco de Mayo there was plenty to see and do (aside from the conference of course!). Moving on from all the excitement outside of the conference, the meeting was all about the business of edibles, but with Texan flair. We focused mainly on the analytical section of the conference and met with several researchers performing oil analysis. Currently many oil scientists still perform gravimetric and spectrophotometric work, but they’re now looking for the next step in using MS techniques to not only characterise compounds, but to also look at the compounds that are changing and the differential expression. Giuseppe Astarita of Waters gave a talk on “Novel Orthogonal Technologies in support of Mass Spectrometry based Lipid Analysis,” providing the audience with an understanding of the use of LC-MS techniques alongside Progenesis QI and how this can be used for lipid analysis to gain a greater depth of information than traditional techniques. The AOCS annual meeting and expo gives this industry and community a chance to connect with vendors like Waters Corporation and Nonlinear Dynamics Limited and those scientists performing fats and oils analysis – it’s an exciting time for them as they begin to move into the area of MS analysis and we’re very happy to be part of it. This entry was written by Jonathan McSayles, posted on May 9, 2014 at 3:00 pm, filed under May 2014 and tagged Conferences, Small molecule analysis. Bookmark the permalink. Follow any comments here with the RSS feed for this post. Post a comment or leave a trackback: Trackback URL.